Under President Donald Trump's administration, thousands more kids may have been separated from their parents at the border than was previously known, according to an internal government report released Thursday, with a "steep increase" of such cases almost a year before "zero tolerance" began. The latest findings by the Health and Human Services Inspector General's office suggests that tough immigration policies embraced early in Trump's term contributed to the family separations. U.S. Border Patrol agents take a father and son from Honduras into custody near the U.S.-Mexico border, June 12, 2018, near Mission, Texas. Also, poor communication among federal agencies and informal tracking systems made it difficult to track whether the kids ended up with their parents, sponsors or in foster care, the internal watchdog reported. "The total number of children separated from a parent or guardian by immigration authorities is unknown," according to the report. The report's conclusions triggered a fierce backlash among House Democrats, including Rep. Elijah Cummings of Maryland, who chairs the House Oversight and Reform Committee and called the Trump administration's immigration policies "callous and immoral." 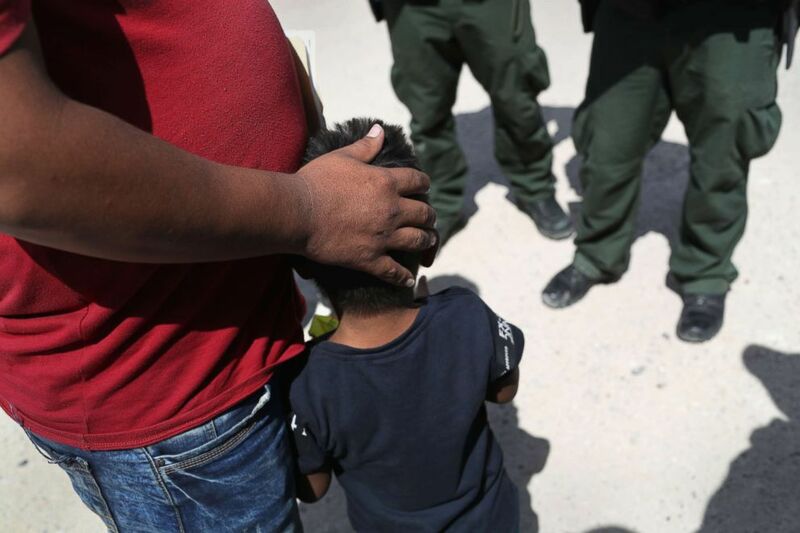 "This is government-sanctioned child abuse, and the whole ordeal is a stain on our nation and our values," said Democratic Rep. Rosa DeLauro of Connecticut. Democratic Rep. Lucille Roybal-Allard of California said "When Republicans controlled the House, President Trump may have thought he could get away with this cruelty and incompetence. But those days are over." DeLauro and Roybal-Allard will be the top Democrats this year on committees that oversee spending for immigration-related programs, including the care of migrant minors in government custody. The Trump administration has defended its handling of what it says is both a security and humanitarian crisis at the border and points to the influx of families claiming asylum. In a statement released Thursday, HHS said it has "accounted publicly" for all children separated by their families who were in its care when a federal judge intervened after a lawsuit had been filed objecting to the policy. 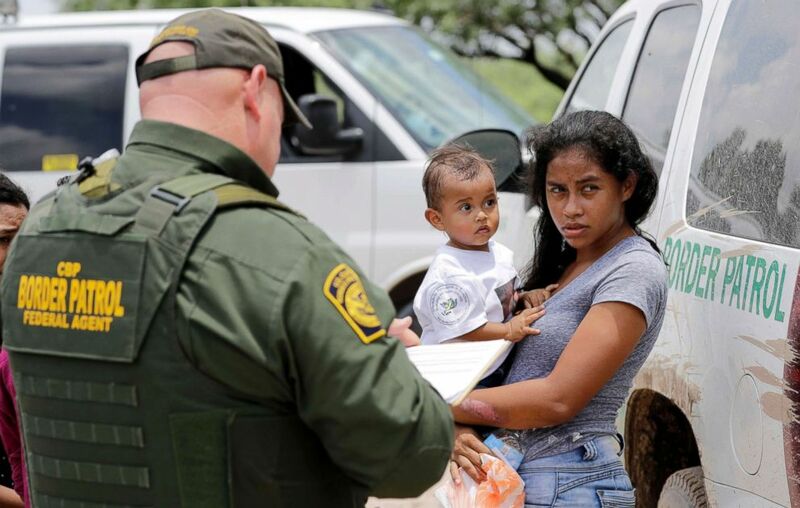 A mother migrating from Honduras holds her 1-year-old child after surrendering to U.S. Border Patrol agents for illegally crossing the border near McAllen, Texas, June 25, 2018. "HHS faced challenges in identifying separated children," according to the agency's statement. "The effort undertaken by HHS was complex, fast-moving, and resource-intensive. (The IG) report provides a window into the herculean work of the HHS career staff to 'rapidly identify children in (its) care who had been separated from their parents and reunify them." "Zero-tolerance" was a policy announced in spring 2018 by then-Attorney General Jeff Sessions that mandated prosecution of illegal border entries, even without evidence of more serious crimes like drug trafficking. Because many of the adults were traveling with children, and the federal courts have determined that children can't be detained for extended periods of time, the policy resulted in the separation of some 2,700 children in a matter of weeks. With the parent in detention, the child would be designated an "unaccompanied" minor and provided to the HHS Office of Refugee Resettlement. HHS still oversees the care of some 10,500 migrant minors, who are mostly older kids and teens who crossed the border alone. According to the latest report, however, the true scope of family separations under Trump might be difficult to assess. In addition to that 2,700 estimation the agency has provided to a federal judge, government investigators found that "thousands of children may have been separated during an influx that began in 2017," almost a year before zero-tolerance policy even began. In some cases, minors are separated from guardians if there is evidence of a serious crime other than the illegal border crossing. That policy is similar to previous administrations, which would separate families if U.S. officials thought doing so was necessary to protect the child from harm. But according to the report, tracking data suggests there was a sudden uptick in separations shortly after Trump took office. Whereas children separated from their families represented only 0.3 percent of minors in U.S. custody in late 2016, that number shot up to 3.6 percent by August 2017. Sessions announced the zero-tolerance policy in the spring of 2018. But Trump abandoned the approach amid a public backlash, and by June 2018, a federal judge ruled in favor of families represented in a lawsuit and ordered that the children should be reunited. HHS has been updating the judge on its progress. As of last December, the government told the court there were only eight kids still waiting to be reunited. A more current update was not available due to the government shutdown. This version corrects attribution of the quote by Rep. DeLauro to note it was not a joint statement with Roybal-Allard, who commented separately.